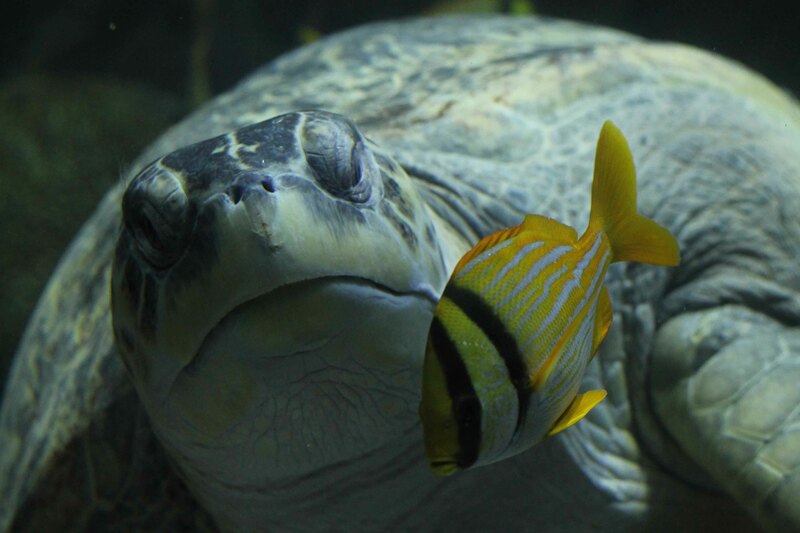 Turtles of the New England Aquarium! If you follow my blog – or know me at all – you probably knew this post was coming. 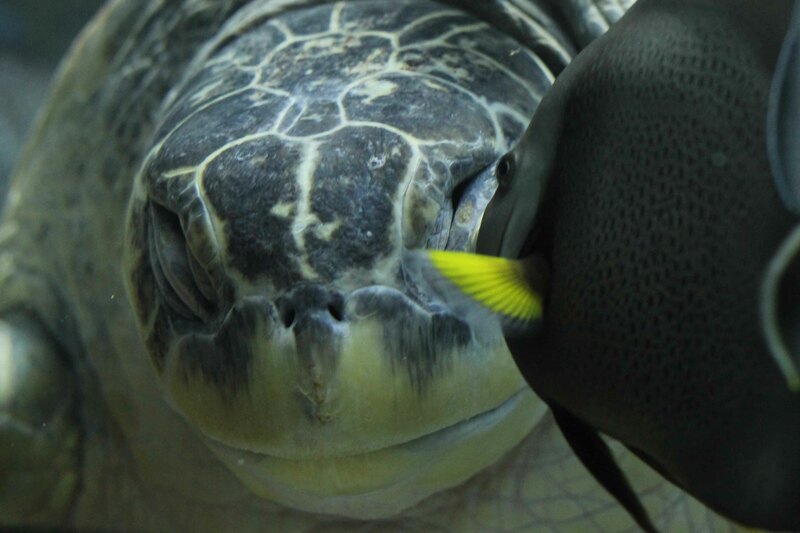 Because, really, turtles, especially sea turtles, are probably the most awesome creatures on the planet. 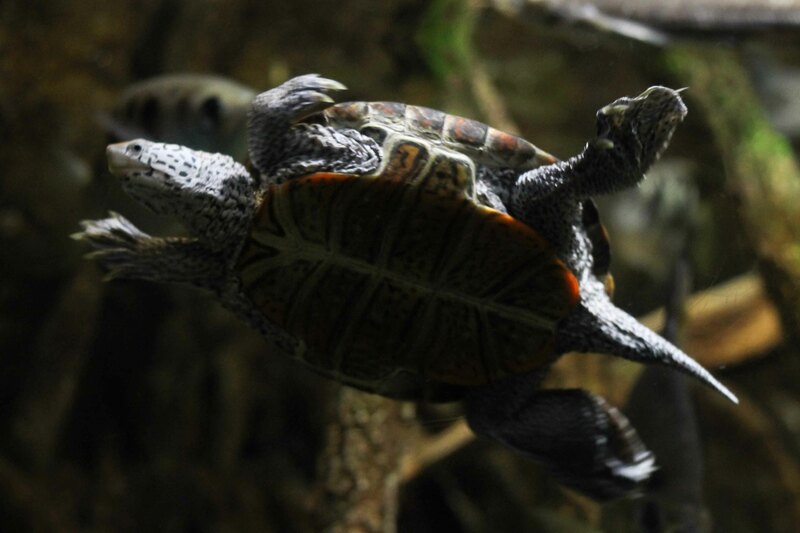 This is a little river turtle that was swimming around in one of the inset wall tanks. She was pretty darn cool and kept on moving around the entire time, which made me very happy. This is Myrtle the Turtle. 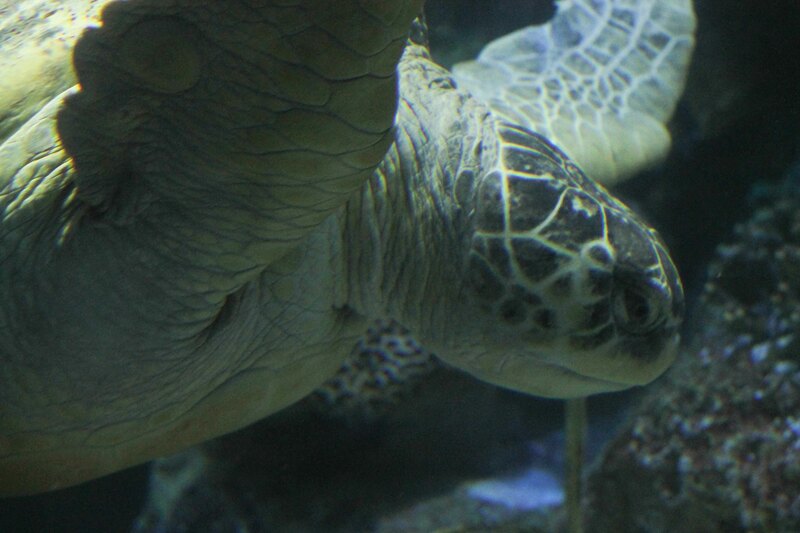 Myrtle is an 85-90 yr old green sea turtle who has been with the New England Aquarium since its inception (and is actually older than it is.) Myrtle tolerates the fish in the tank with all the haughtiness a grand dame should have. Myrtle is kinda awesome in every possible way. Here is Myrtle swimming off after her nap. She’s huge – incredibly large; she’s lived her whole life in captivity – and it takes a bit for this old lady to get up and moving. It was fun to watch. The fish in the tank love to come up and (presumably) eat the gunk off her eyes and skin, but she is not as fond of it. When they get too close to her eyes, she shakes them off but they just come right back. Yum…eye gunk. 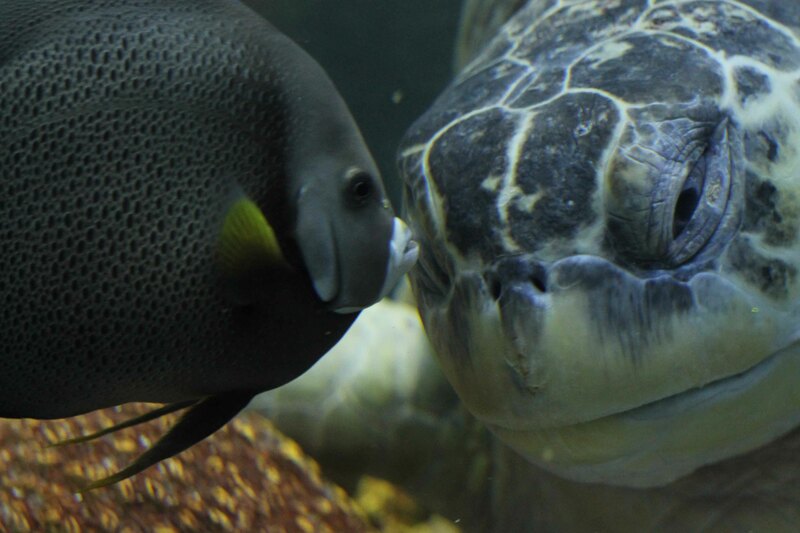 There was a second turtle in the Giant Ocean Tank where Myrtle lives, but sadly, I completely missed her. I’m definitely going to have to go back to see them both soon!